Prepared yourself for both light rain and downpours by having the waterproof Men's PreCip Anorak ready to pull over a base layer or insulated jacket. 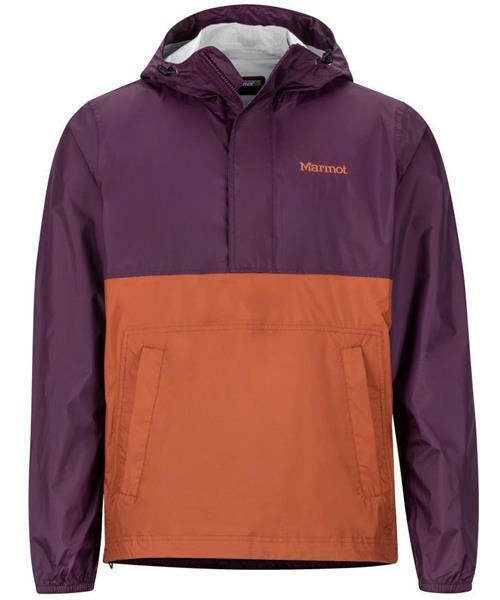 Marmot® NanoPro™ fabric is highly breathable and waterproof, repelling rain while it keeps you comfortable. 100% taped seams and an adjustable drawcord hem prevent leaks. The DriClime®-lined chin guard wicks away moisture. This space-saving shell compresses into its own pocket to reduce bulk in your pack.